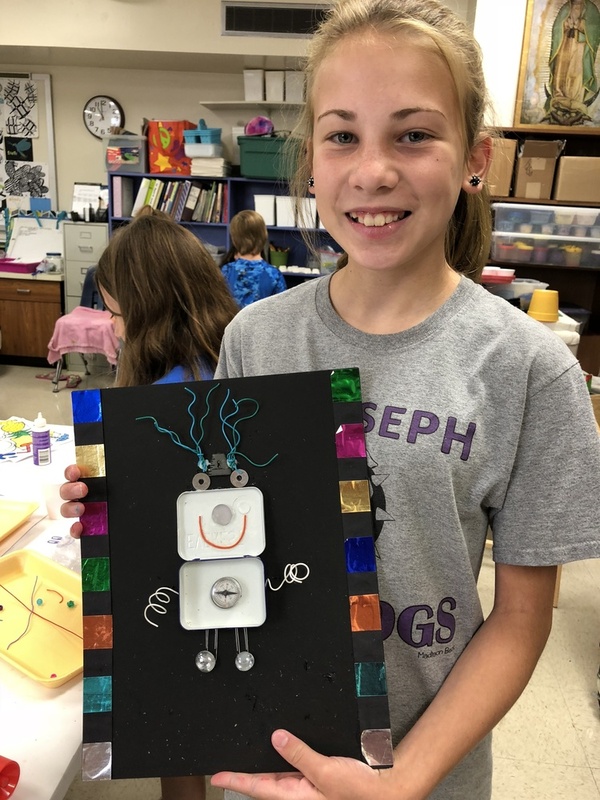 An art camp led by Ms. Shannon Chamoun began Wednesday and runs through Friday, June 22nd. One of the projects the children engaged in was making robots with mint/lozenge containers and other household items. Allie Evans shows hers.